Who knew that my PSYCHOTIC skincare routine while I am on an airplane would cause such a stir?! 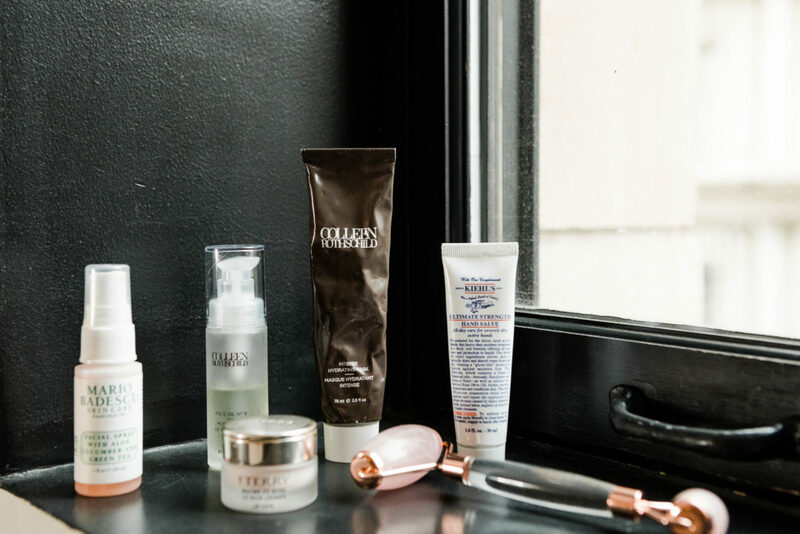 While I was recently traveling to NYC for fashion week, I taped my in-flight skincare rituals…and BOY OH BOY…y’all bombarded me with all sorts of questions! Since I could go on and on about all the details, tips, & tricks for keeping your skin hydrated and fresh on a plane, I decided to film a video sharing all of my insider information! In this video, I am sharing my top 7 pre-flight, in-flight, & post-flight skincare tips and answering all your burning questions! Why is it bad to wear makeup on a plane? How much water should I be drinking to keep from dehydrating my skin? What does rolling actually do for my skin? (I actually answered that in THIS VIDEO, too!) No alcohol on a plane? What mask is your favorite? I think I remembered to answer everything…but just in case I left anything out, let me know your questions about my travel skincare regimen in the comment section!